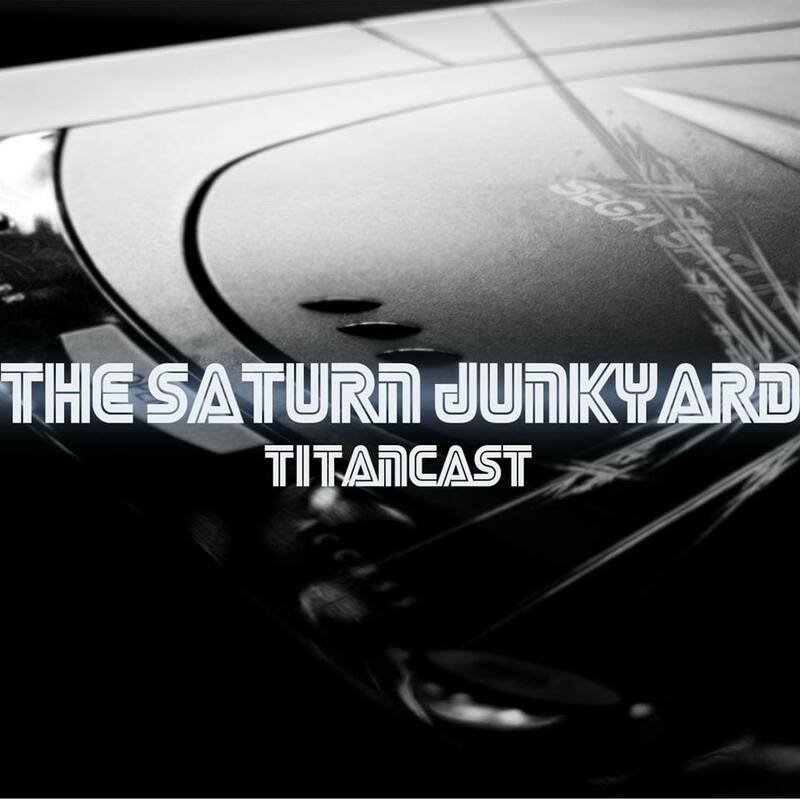 The Saturn Junkyard: Clockwork Knight - The Definitive Saturn Experience? 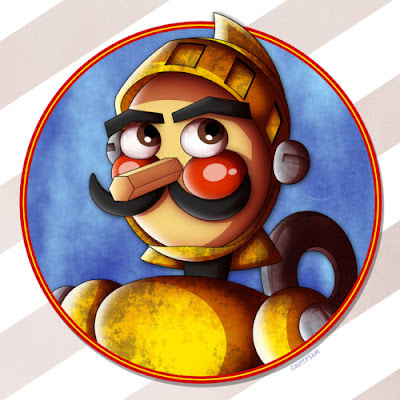 Clockwork Knight - The Definitive Saturn Experience? 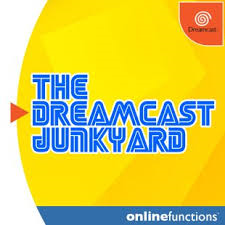 OK Saturn Junkys - it's something we've all wondered on occasion... What games represent the very best of a console's back catalogue? If you had to show off your favourite console to a gaming fan who by chance had never experienced playing it, what game would you choose? 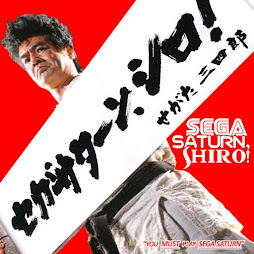 What game provides a quintessential, exclusive Saturn experience? It's not actually possible to provide a definitive answer to "What is the ONE game that best represents a console? 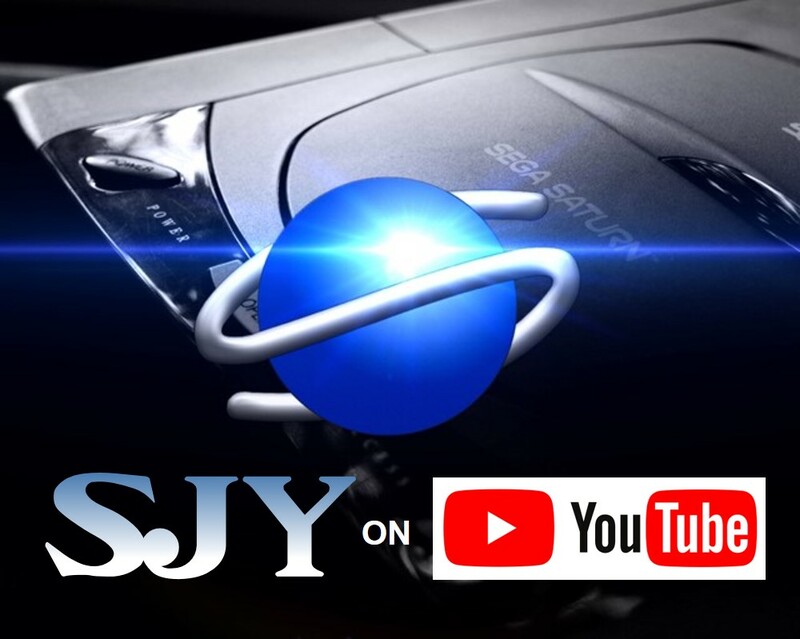 ", so much depends on subjectivity and opinion - and those opinions are dependent on a huge variety of factors... How old you were when you discovered this game? How many nights or days did you sink into playing it? At what stage of your console experience did you discover it? Was it a game you waited for with baited breath, having looked at release dates and previews in glossy magazines? Or did you discover it by accident? 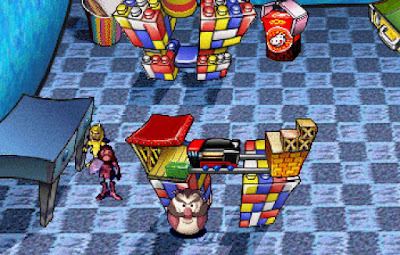 Perhaps the most important factor of all for nostalgia, is what associations do you have with this game... does it represent a happy time? A significant time in your life? A younger you? A time free of responsibility and commitment? A time spent with friends? Clockwork Knight has all those associations for me, but it's also one of the games that I think is a quintessential Saturn experience and one not to be missed by any true fan of the console. 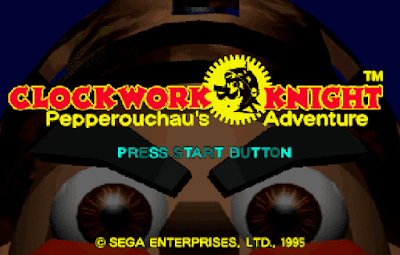 The game is themed around a character called Sir Tongara Pepperouchau (or just Pepperachou) - the titular Clockwork Knight. One of a number of toys that inhabit Betsy's bedroom, Pepperachou and his play-thing pals come to life at midnight. It's clear that he, and some of his pals, are enamoured with a saucy little "clockwork fairy", known only as "Chelsea". 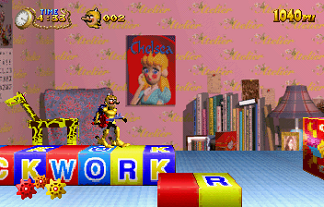 Lord knows what kind of clockwork filth takes place between these horny little toys during the witching hour, but what we do know, is that Chelsea goes and gets herself kidnapped at the start of the game, in typical Princess Peach fashion. (Girls huh?) 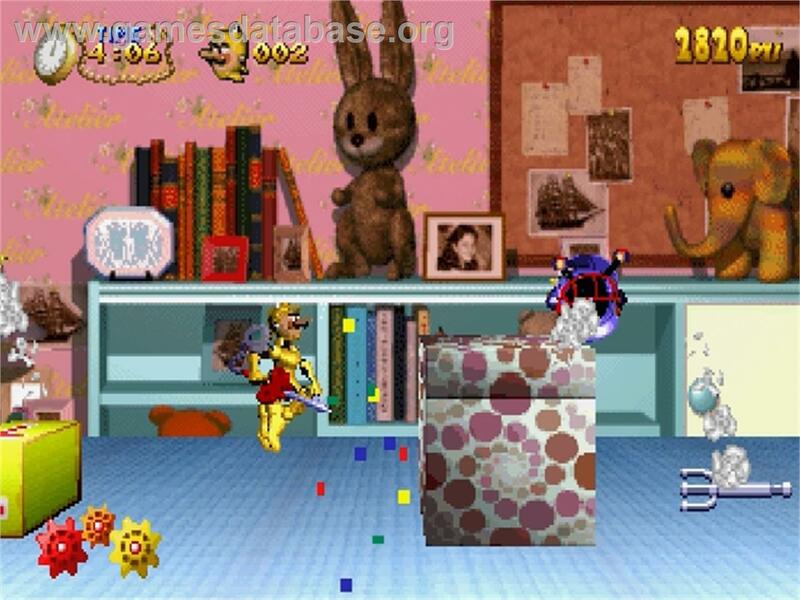 So Pepper sets off on a quest, armed only with his whopping key-sword, with which he can poke and thrust at enemies until they explode, or with which he can gain access to boxes and trap doors which will allow him to access secret areas. 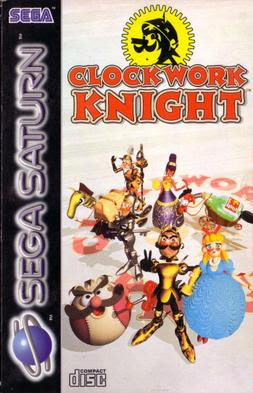 Wikipedia sums up the game thus: "Clockwork Knight[is a side-scrolling platform video game developed and published by Sega for the Sega Saturn. It was released in Japan on December 9, 1994,in North America on the 1995 launch, and in Europe on July 8, 1995. It was followed by a sequel, Clockwork Knight 2." It continues: "The game uses pre-rendered digitized 2D sprites of high-resolution 3D models similar to the Donkey Kong Country series..."
This brings me to the look of the game. 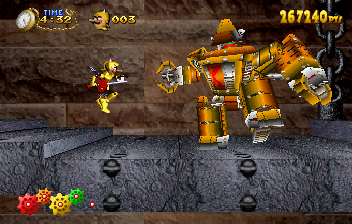 The graphics of Clockwork Knight were quite literally mind blowing for me, when I first picked it up for the Saturn all the way back in 1996. I picked it up along with Panzer Dragoon for a bargain price at Toys R Us, (the very store itself, now only a fleeting memory). I was heavily involved with the rave scene at the time, and used to put on the opening video from Clockwork Knight, as "visuals", during post rave chill outs - along with Panzer Dragoon! The game had a sheen to it, and a visual style, which was at the time, both technologically impressive, but also had a glut of nostalgic references to classic toys and games, familiar household objects and mundane environments. Watching someone else playing could be a very trippy experience, in the wee small hours of ecstasy fuelled indulgence. I would imagine. The game, as stated above, is a very straight forward platformer... we're talking moving your avatar from left to right across the screen, sometimes walking, sometimes running, sometimes jumping. Timing is of the essence and of course, there are a plethora of pitfalls, traps and enemies to negotiate as you progress through each level. The enemies you have to negotiate on your odyssey, include other clockwork toys, egg-timing chickens, anthropomorphic vacuum cleaners, retro-futuristic robots and remote control helicopters. 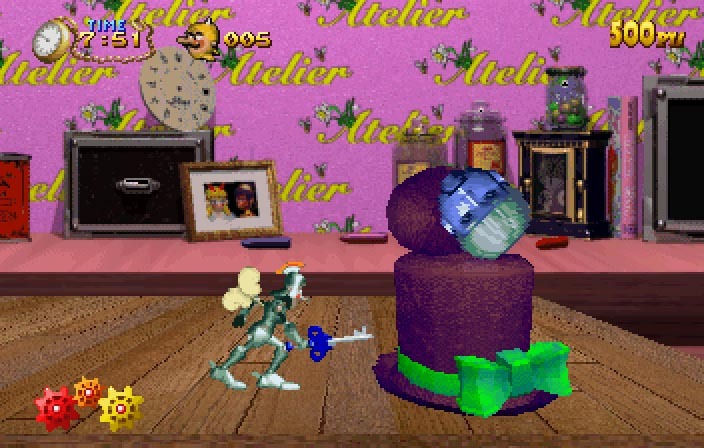 The bosses between each level are among some of the most original and strange that you will encounter in any game. But what makes the game perfect for a gamer of limited skills, (me) is that it is never a game that makes you want to smash up your console in frustration. (looking at you Burning Rangers...) Sure, like any other platformer you have to learn routes, patterns and timing - but these are on a completely achievable skill level. 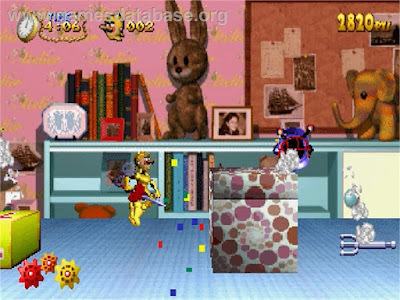 The game contains thirteen levels through which you progress, spread over four different rooms in the house. There are two bedroom stages, a kitchen themed stage and a basement environment, all with different hazards to avoid and enemies to dispatch. Every three levels there is a boss battle, with a final boss battle at the end. 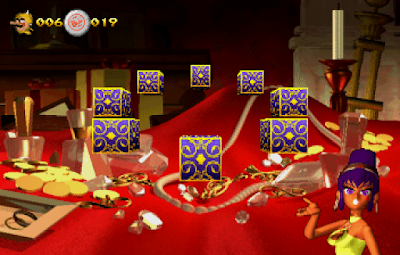 After each boss, the player is rewarded with the chance to gamble "bottle tops" collected throughout the levels. These represent points that can be gambled during a "roulette" style mini-game to win extra lives... another feature that makes the game so playable and winnable! What makes this such a thoroughly Saturn soaked experience, is that it is one of the handful of PAL games that were a Saturn console exclusive. 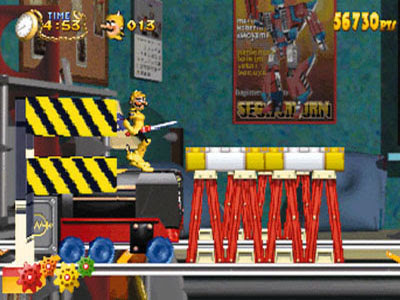 The bulk of the Saturn's library, produced by third party developers, was also released on the far more successful PlayStation, with the Saturn releases often seen as the inferior versions. 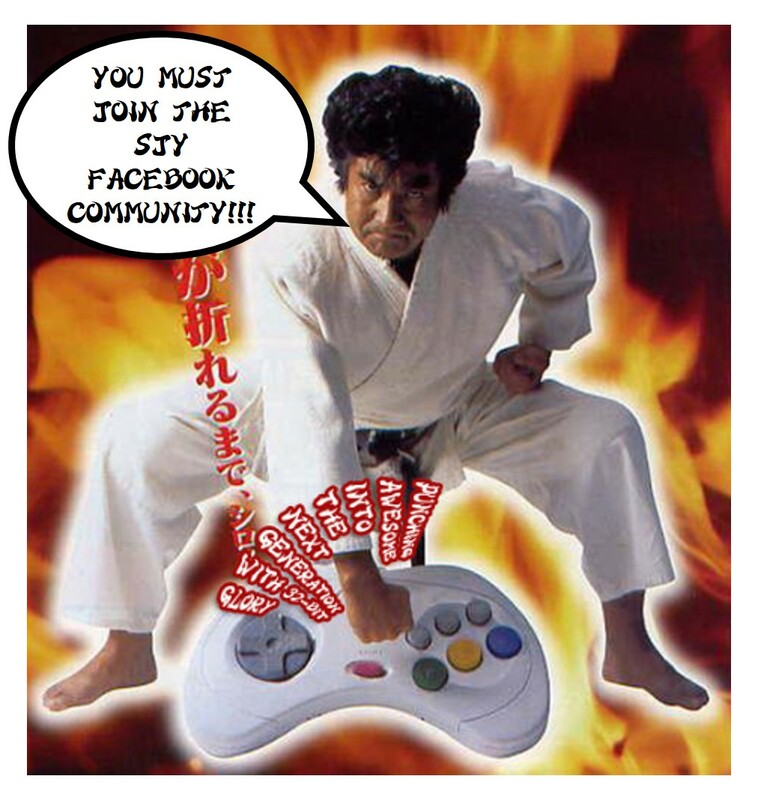 But f you wanted to play this game before the days of reliable Saturn emulation, you had to own a Saturn. This is a game which was never released on any other console... even in these days of HD pimped up retro remakes and re-vamps. It's a game that even only a relatively few retro-gamers will have played. 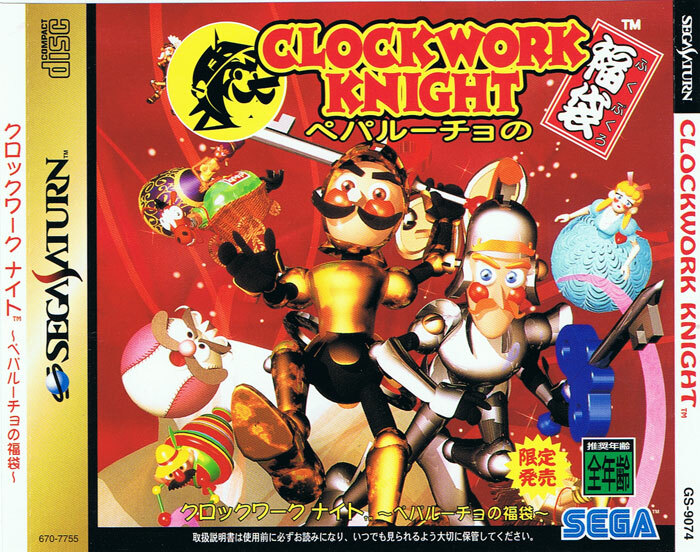 Whilst I would suggest that Rayman, Astal and Keio Flying Squadron are better platformers, Clockwork Knight was one of only a handful of games that I owned with my original Saturn. The sum total of my collection in the nineties consisted of Panzer Dragoon, Clockwork Knight, Sega Rally, Virtua Cop (with no gun), Actua Golf, Christmas Nights and Virtua Fighter. I played these games a lot... watching the full opening video sequence of Clockwork Knight was always a must... I never impatiently dismissed it with a casual button press. As well as the great visuals, the game has a quite impressive score too. Impressive if you like cheesy jazz that is... otherwise it's mildly annoying. But you can see that it was given a lot of thought... but it's undeniable that the breezy, jaunty soundtrack of Rayman is infinitely preferable to the soundtrack of Pepper's quest. Another mildly annoying aspect of the game is that there are no save points... die and you're back at the beginning, no matter how far you have progressed in your mission. It is this feature that stopped me ever completing the game for years... I would play the first two levels over and over again, never seeing the later stages or bosses. There is some debate as to whether Clockwork Night 2 was originally ever meant to be a separate sequel, or part of the original game which Sega cynically split into two different releases to maximise profits. This is because the quest seems to come to an abrupt ending. Personally I don't see it that way - I was happy with the length of the first game. It didn't feel like half a game at all. This is a solid title, one worthy of your time and attention. Definitely in my top twenty Saturn experiences - I hope that doesn't sound too vague a recommendation, that's still a pretty big honour in my eyes! If you're interested in purchasing this classic title them you can pick it up cheaply, whereas the sequel costs a little more, it's still well within most people's gaming budget. We're not talking Radiant Silvergun territory... So go out and grab it! I'm so ashamed that I have never played this game or any in the series in any form. When it. Came out I was invested in other games at that time. At this time I might find some re-pro's and try to see what it is to this game. That people hold it in high regard.